Hyderabad Ramadan Timings with complete month of Ramadan calendar of Hyderabad Sehr Time & Iftar Time. Find here today’s Hyderabad Ramadan Fasting time. People of Hyderabad will be happy to know that their issue has been resolved. There is an online page to inform them about the ramdaan timings. Hyderabad Ramadan timings are available here. It will help you through out the ramdaan. There is no need to worry about the ramdaan timings anymore. I love how authentic your Hyderabad Ramadan timing schedule is every year! I’ve printed this schedule as a calendar and pasted it on our dining table and also passed it to my friends. May Allah bless this Ramzan with cool and stress-free days. I have printed this Hyderabad timings of Ramadan and pasted it beside the calendar so it has become easy to match dates and keep up with special ramadan days. Last Ramdan in Hyderabad was very tough due to the hot weather but Masha Allah I was succeed to offered all the Salah and Fasts. This time I also landing the page of Ramadan Calendar from the Islamic portal of HamariWeb and saved Hyderabad Ramadan timing. The best thing about this year’s Ramadan is that I am going to celebrate it with my family in Pakistan. Due to huge time difference, I have browsed and checked the Hyderabad Ramadan Timings to get used to in advance. I didn't thought I will use it ramdan timing this much.thanx a used it a lot. Thank you and blessed Ramadan. Hope we can be better citizens this time around. May Allah grant us the power to stop evil in its tracks. Hyderabad RAMADAN TIMING 2019 - Find Ramadan (رمضان) Calendar and Timetable 2019 along with Today's Sehr-o-Iftar Time of 20 Apr, 2019 (14 Shaaban 1440 ). Hyderabad Ramadan Timing is as follows: SEHAR Time: 04:39 am and IFTAR Time: 6:52 pm. According to Fiqa Jafria Sehr o Iftar Time as follows: SEHAR Time: 04:29 and IFTAR Time: 07:02 . Hamariweb.com designed Ramadan calendar especially for Hyderabad Ramadan Timing 2019 for all fiqh and sect. The variation of a term is different in languages and regions are as follows: Ramadan is called in Arabic رمضان or Ramadhan, in Urdu it is called Ramazan and in Turkish as Ramathan, Muslim also call Saum, Roza or Siyam. It is the ninth month of the Islamic calendar and the month in which the Quran was revealed. 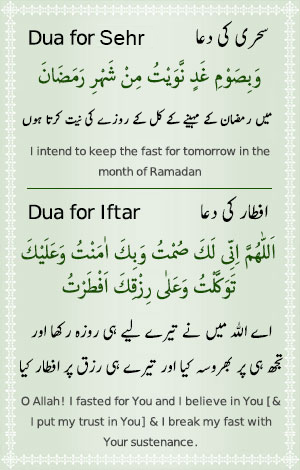 Search Hyderabad Ramadan Timing for fasting during the month of Ramadan in Pakistan, it’s of the Five Pillars of Islam. The month is spent by Muslims fasting during the daylight hours from dawn to sunset (also called sehri / Suhur and iftar time). Hyderabad Ramadan Timing Calendar – Hyderabad is a significant city of Sindh located 140 kilometers east of Karachi. It is categorized as the second largest city of the province, and 8th largest in Pakistan. According to the 2017 population census, the city of Hyderabad accommodates 5,032,693 people. Some 4,066,000 residents settled in Hyderabad since the 1998 Census. It is a 200% increase, the lowest growth rate of the ten largest cities of Pakistan. Religion-wise, the city of Hyderabad has 94% of Muslim population, Hinduism is the second popular religion comprising 5% of the population. City of Hyderabad is more religiously tolerant and is home to various minorities. Christians are only 1% of the total population of Hyderabad. The city is the seat of a Diocese of the Church of Pakistan and has five churches and a cathedral. Muslim population of Hyderabad city is practicing Muslims who perform all religious obligations. Hyderabad prepares for Ramadan Kareem with full religious zeal and enthusiasm. Hyderabad Ramadan Timing Calendar are made enabled online for the assistance of the wide Muslim population. They can check the schedule in advance and can set their Ramadan routine time table accordingly. Hyderabad Sehr o Iftar Timings for the whole month of Ramadan is available here. Hyderabad Ramadan Timing Calendar timetable is made according to the lunar calendar for the entire month of Ramadan. Hyderabad Ramadan Timing Calendar page is designed keeping in mind the geographical location of the city and sunrise and sunset timings. Hyderabad Ramadan Timings Schedule 2019 is applicable for the residents for the holy month of Ramadan. Find complete Ramadan timing Calendar (fasting schedule of Sehri o Iftar for year 2019) for Hyderabad with date, day of week, and Sehri and iftar time. We offer Ramadan timings for both Fiqa Jafria & Hanafi. Find the complete Ramadan timing Calendar with Iftar and Inteha e Sehr according to Hyderabad city.